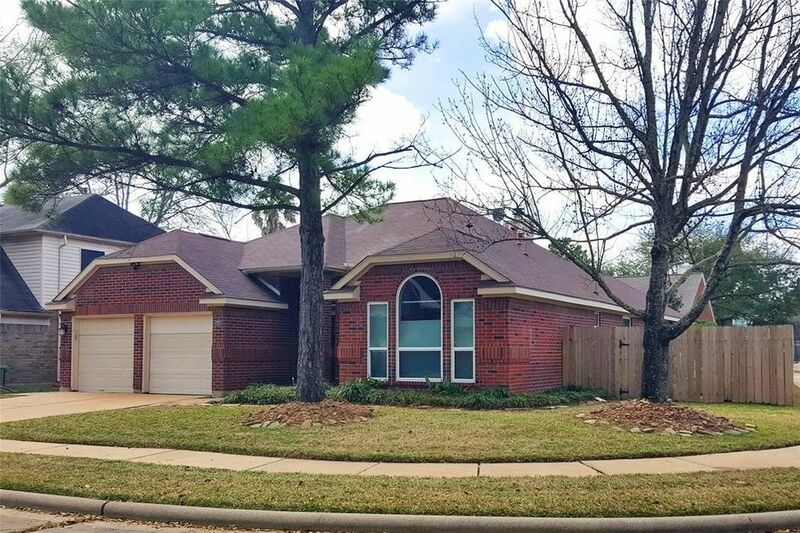 Rare 4/2/2 1 Story Red Brick Home w/ a moderate sized Pool & Spa on a quiet street in Katy ISD! This home has never seen flood waters in this community! Owner has updated so many Items, like Custom Cabinets, Granite Counters, Island Kitchen w/SS Appliances, Gas Cooking, Insulated Windows Slate Double sided Shower. All Floors are Tile except Master & 1 Bedroom with Carpet. Light & Bright w/ High Ceilings Split Floor Plan 4th Bedroom has french Doors off the Entryway and used as a Study. 3rd Bedroom has a Built-In Murphy Bed Wall and a Palladium Window. This is one Great Home with lots of privacy and Ready to Have your House Warming as Spring is Starting to Bloom! Check Out the Garage, It has its own Hard Surface Floor so even your Car will feel pampered! Directions: From I-10 W. go N. on Barker Cypress, Go W. on Morton Rd. Right on Barkers Forest Ln., 1st Left on Buffalo River Way, 3rd Right on Subject! Home is don at the end of the road on corner.